This Northern Lights Minibus Tour offers a personal, small group experience. With a maximum of 16 guests per tour, you will be accompanied by a knowledgeable local guide. Departing from Reykjavík, you’ll drive away from the light pollution of the city and go on a hunt for these elusive lights. 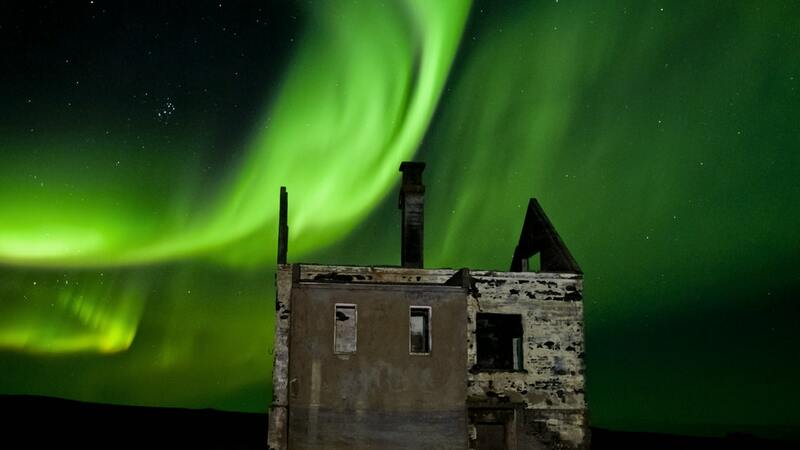 This tour offers a great Northern Lights experience in Iceland. You’ll travel in a comfortable minibus with free WiFi on board so you can share your experience as you go! 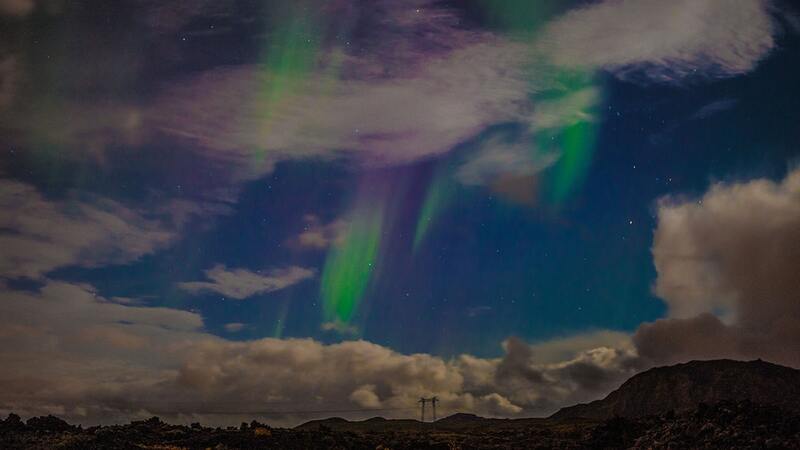 After pickup in Reykjavík, you will be driven out of the city with an experienced Northern Lights guide. Before leaving the city your guide will decide which direction to take based on the Northern Lights forecast. The best place to view the aurora borealis varies from day to day, depending on factors such as cloud cover, weather and more. Once the route is set, the adventure is on! 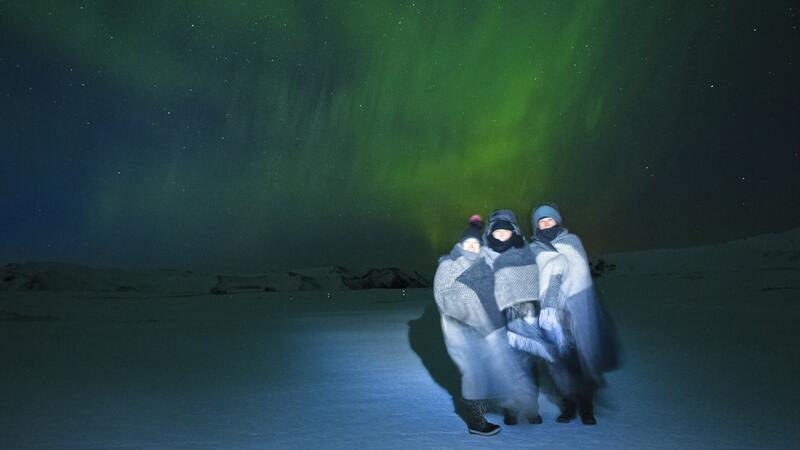 When the best location is found, you’ll exit the minibus and get warm blankets so that you can stay as warm as possible as you watch the light show above you. Not only that, but you’ll also get hot chocolate and an Icelandic pastry to enjoy. After what has hopefully been a successful hunt for the Northern Lights, your guide will drop you off at your selected location in Reykjavík. Are pickup and dropoff in Reykjavík included on this tour? Yes, both pickup and dropoff in Reykjavík are included on this tour. Please note that pickup can take up to 30 minutes so it’s important that you are ready at your chosen pickup location on time. Yes, children of all ages are welcome on this tour. Please keep in mind that as this is an evening tour, you won’t be returning to Reykjavík until late evening / after midnight. 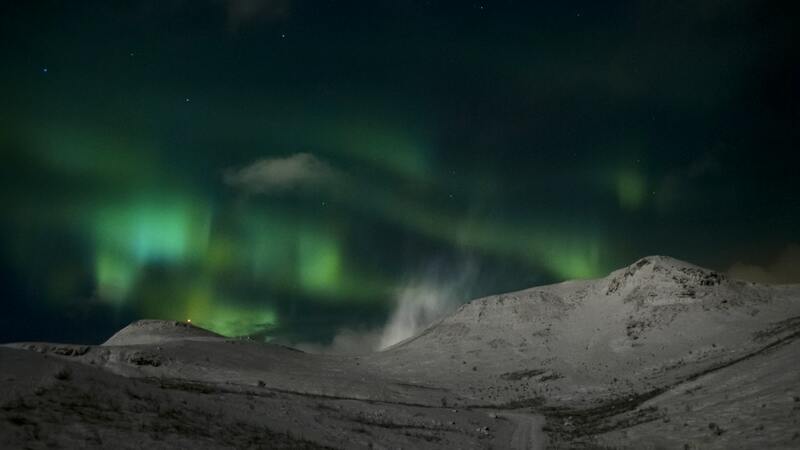 The Northern Lights are a natural phenomenon so sightings of it can never be guaranteed. If it is unlikely that the Northern Lights will make an appearance or weather conditions are bad, the tour will be canceled and we’ll try to reschedule your tour or offer a full refund. If the tour goes out but we see no Northern Lights, will we be able to go on the tour again? Yes, if the tour does go out and you, unfortunately, do not see any lights you will get the chance to try again for free on another night. Please note that when a tour does go out but lights are not seen, a refund is not available. You should wear warm clothing, both as your first and second layer. Keep in mind that it can get quite cold in Iceland, not the least when standing still looking at the night sky, during the cold nights. You should also wear good shoes with a solid grip, a warm cap, and gloves. Is dinner included on this tour? No, dinner is not included in this tour but you will be offered some light Icelandic refreshments. We recommend that you enjoy a good dinner in Reykjavík before going on this tour, but you can also purchase light meals and snacks during stops along the way. The duration of this tour varies from 3 to 5 hours, depending on conditions.